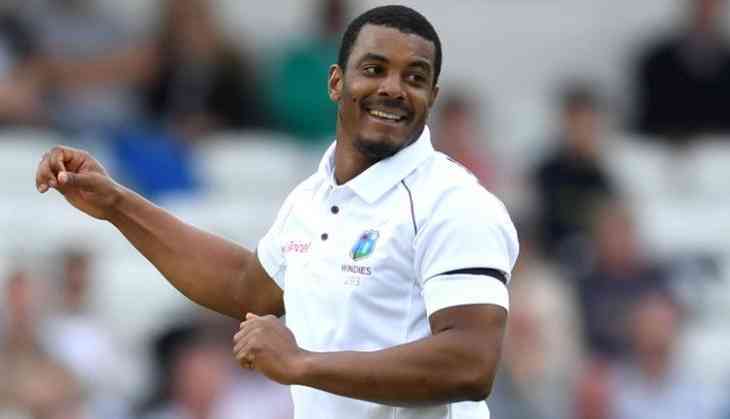 West Indies fast bowler Shannon Gabriel was suspended for next week's second Test against Bangladesh after he accumulated five demerit points within a 24-month period for disciplinary breaches, the International Cricket Council said on Friday. Gabriel was handed two demerit points after he was found guilty of shoulder barging Bangladesh's Imrul Kayes during the opening day of the first Test between the two teams in Chittagong on Thursday. The incident took place in the eighth over of the Test when, after bowling a delivery, Gabriel was judged to have made deliberate physical contact with batsman Imrul on his follow through. "In the opinion of the umpires, this physical contact was avoidable," the ICC said in a statement. Gabriel had received three demerit points during the Jamaica Test against Pakistan in April 2017, when he was also fined 50 per cent of his match fee. With the addition of two demerit points, he has reached the threshold of four demerit points, which have now been converted into two suspension points. As two suspension points equate to a ban from one Test or two ODIs or two T20Is, whichever comes first, Gabriel has been suspended from the second Test, which will be played in Dhaka from November 30 to December 4. Gabriel was also fined 30 per cent of his match fee for Thursday's incident. His suspension came as a blow for West Indies as Gabriel was the pick of their bowlers with 4-70 in the first innings of the ongoing Test.